The way we tune is VERY different than 99% of the other tuners out there. This is a huge issue of debate and not one I am going to get into but I will tell you the differences. Most (probably 99%) tune with AFR. The ECM adjusts using O2 sensors that read AFR. Wide Band O2 uses AFR. Many dyno sheet critics look at the AFR on the bottom of the sheet. Aftermarket tuning devices use AFR, like the Daytona WEGO system. 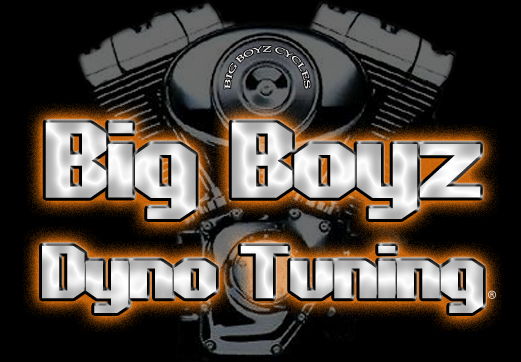 Most Dynos have AFR systems built in for Dyno tuning. At this point you should have a picture painted that the industry relies on AFR devices for tuning. We don't use AFR for tuning, we can't see the AFR, have no way to measure AFR and don't adjust for AFR. If not AFR, what? We use combustion science and a 4 gas exhaust analyzer to tune the engine. When fuel is burned it is a chemical reaction. The chemical reaction gives off by products, these are the emission. CO, CO2, HC and O2 are all emission in the exhaust gasses. AFR only looks at the O2, the least important in the equation. Carbon Monoxide, CO is partially burned fuel. Carbon Dioxide, CO2 is fully burned fuel. Hydrocarbons, HC is raw unburned fuel. Oxygen, O2 is left over that isn't used in the combustion process. In a perfect world all the O2 is combined with all the HC during the combustion process, this doesn't happen. We use a high speed 4 gas analyzer to look at the exhaust gasses and then adjust for a proper burn. The gasses tell us how the timing is, if there is too much or to little fuel for the amount of oxygen available etc. I am not saying EFI can't be tuned with AFR. I am not saying that we will get higher numbers tuning without AFR. But I would say the number 1 comment we hear from our customers is "It runs so much smoother now". We have retuned several bikes tuned by some top notch, highly regarded performance shops. Typically we achieve better gas mileage, smoother running engine and more power through out much of the partial throttle range. We don't often obtain better max numbers at WOT but we also don't typically lose power at WOT either. Using the 4 gas exhaust analyzer we tune the combustion process. When the combustion process is most efficient, the engine is making best power. We tune for Best power across the entire RPM and Load range. We tune for Best power at cruise as well, and shoot for the leaner side of the scale. This yields very good fuel economy, clean combustion and power on tap.